The United States is not equipped to combat Chinese or Russian hypersonic weapons that have the capacity to overwhelm American missile-defense systems, according to a senior Pentagon official. 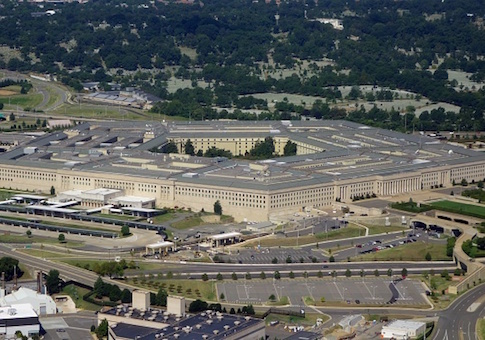 Michael Griffin, the under secretary of defense for research and engineering, said Tuesday the Pentagon has not deployed "adequate" defenses against the highly maneuverable and difficult-to-detect weapons being aggressively pursued by U.S. adversaries. Speaking at the Center for Strategic and International Studies, Griffin said the Defense Department will request more funding to develop lasers, high-powered microwaves, and other directed-energy weapons systems to counter hypersonic weapons and drone swarms. He said the United States hasn't invested in such "transformative capabilities" since the Reagan administration in the 1980s. "This is not a threat in the future," Griffin said. "If the United States is going to remain ahead, we have to reinvest. A generation or two has gone by since that era and other people are not stupid and other people do not stand still so it's time for us to get back to work." "You're going to see in upcoming budgets for missile defense a renewed emphasis on laser scaling across several technologies," he later added. Hypersonic weapons are launched atop ballistic missiles and travel five times the speed of sound, or more than 3,836 miles per hour. They are capable of maneuvering on the edge of the atmosphere where they can strike targets globally in minutes. Given the imperceptibility of hypersonic weapons soon after launch, Griffin said the military needs to deploy U.S. forces "closer to the action." U.S. satellites, including those used to detect missile launches and guide interceptors to destroy enemy missiles, are particularly vulnerable to such an attack. Griffin called for a "proliferation" of those sensors "so that removing a few of those satellites by the adversary doesn't alter that capability." "Their capability is unbelievable and unmatched, but in the face of Chinese and Russian threat we see the need to disaggregate our capabilities to present less of a focused target," he said. The Pentagon has been studying the deployment of space-based missiles and new sensors to counter the growing threat from China and Russia. Griffin said in September that a network of 1,000 missile interceptors deployed on satellite launchers could be built for $20 billion. This entry was posted in National Security and tagged China, Department of Defense, Russia. Bookmark the permalink.